Derivative is a product whose value is derived from the value of one or more basic variables, called bases (underlying asset, index, or reference rate), in a contractual manner. The underlying asset can be equity, forex, commodity or any other asset. For example, wheat farmers may wish to sell their harvest at a future date to eliminate the risk of a change in prices by that date. Such a transaction is an example of a derivative. The price of this derivative is driven by the spot price of wheat which is the “underlying”. 1. A security derived from a debt instrument, share, loan whether secured or unsecured, risk instrument or contract for differences or any other form of security. 2. A contract which derives its value from the prices, or index of prices, of underlying securities. Derivatives are securities under the SC(R)A and hence the trading of derivatives is governed by the regulatory framework under the SC(R)A.
asset prices. As instruments of risk management, these generally do not influence the fluctuations in the underlying asset prices. However, by lockingin asset prices, derivative products minimize the impact of fluctuations in asset prices on the profitability and cash flow situation of risk-averse investors. Early forward contracts in the US addressed merchants’ concerns about ensuring that there were buyers and sellers for commodities. However ‘credit risk” remained a serious problem. To deal with this problem, a group of Chicago businessmen formed the Chicago Board of Trade (CBOT) in 1848. The primary intention of the CBOT was to provide a centralized location known in advance for buyers and sellers to negotiate forward contracts. In 1865, the CBOT went one step further and listed the first ‘exchange traded’ derivatives contract in the US, these contracts were called ‘futures contracts’. In 1919, Chicago Butter and Egg Board, a spin-off of CBOT, was reorganized to allow futures trading. Its name was changed to Chicago Mercantile Exchange (CME). 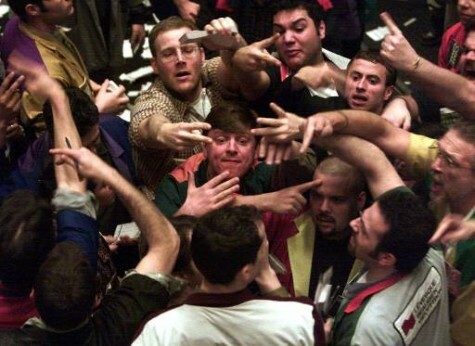 The CBOT and the CME remain the two largest organized futures exchanges, indeed the two largest “financial” exchanges of any kind in the world today. futures contracts traded today. Other popular international exchanges that trade derivatives are LIFFE in England, DTB in Germany, SGX in Singapore, TIFFE in Japan, MATIF in France, Eurex etc. Derivative contracts have several variants. The most common variants are forwards, futures, options and swaps. We take a brief look at various derivatives contracts that have come to be used. Forwards: A forward contract is a customized contract between two entities, here settlement takes place on a specific date in the future at today’s pre-agreed price. Futures: A futures contract is an agreement between two parties to buy or sell an asset at a certain time in the future at a certain price. Futures contracts are special types of forward contracts in the sense that the former are standardized exchange-traded contracts. Options: Options are of two types – calls and puts. Calls give the buyer the right but not the obligation to buy a given quantity of the underlying asset, at a given price on or before a given future date. Puts give the buyer the right, but not the obligation to sell a given quantity of the underlying asset at a given price on or before a given date. Warrants: Options generally have lives of upto one year, the majority of options traded on options exchanges having a maximum maturity of nine months. Longer-dated options are called warrants and are generally traded over-the-counter. LEAPS: The acronym LEAPS means Long-Term Equity Anticipation Securities.These are options having a maturity of upto three years. Baskets: Basket options are options on portfolios of underlying assets. The underlying asset is usually a moving average of a basket of assets. Equity index options are a form of basket options. Swaptions: Swaptions are options to buy or sell a swap that will become operative at the expiry of the options. Thus a swaption is an option on a forward swap. Rather than have calls and puts, the swaptions market has receiver swaptions and payer swaptions. A receiver swaption is an option to receive fixed and pay floating. A payer swaption is an option to pay fixed and receive floating. Derivative products initially emerged as hedging devices against fluctuations in commodity prices, and commodity-linked derivatives remained the sole form of such products for almost three hundred years. major users of index-linked derivatives. Even small investors find these useful due to high correlation of the popular indexes with various portfolios and ease of use. 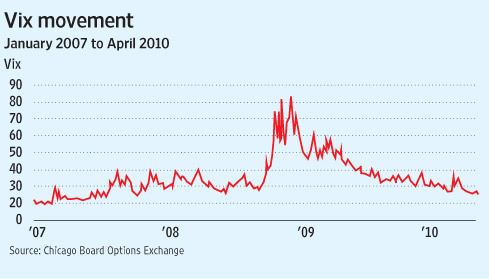 Increased volatility in asset prices in financial markets. Increased integration of national financial markets with the international markets. Marked improvement in communication facilities and sharp decline in their costs. Development of more sophisticated risk management tools, providing economic agents a wider choice of risk management strategies, and Innovations in the derivatives markets, which optimally combine the risks and returns over a large number of financial assets leading to higher returns,reduced risk as well as transactions costs as compared to individual financial assets. Inspite of the fear and criticism with which the derivative markets are commonly looked at, these markets perform a number of economic functions. Prices in an organized derivatives market reflect the perception of market participants about the future and lead the prices of underlying to the perceived future level. The prices of derivatives converge with the prices of the underlying at the expiration of the derivative contract. Thus derivatives help in discovery of future as well as current prices. The derivatives market helps to transfer risks from those who have them but may not like them to those who have an appetite for them. Derivatives, due to their inherent nature, are linked to the underlying cash markets. With the introduction of derivatives, the underlying market witnesses higher trading volumes because of participation by more players who would not otherwise participate for lack of an arrangement to transfer risk. Speculative trades shift to a more controlled environment of derivatives market. In the absence of an organized derivatives market, speculators trade in the underlying cash markets. Margining, monitoring and surveillance of the activities of various participants become extremely difficult in these kind of mixed markets. In a nut shell, derivatives markets help increase savings and investment in the long run. Transfer of risk enables market participants to expand their volume of activity. speculative venture. Arbitrageurs are in business to take advantage of a discrepancy between prices in two different markets. If, for example, they see the futures price of an asset getting out of line with the cash price, they will take offsetting positions in the two markets to lock in a profit. Self Clearing Member: A SCM clears and settles trades executed by him only either on his own account or on account of his clients. Trading Member Clearing Member: TM-CM is a CM who is also a TM. TM-CM may clear and settle his own proprietary trades and client’s trades as well as clear and settle for other TMs. Professional Clearing Member PCM is a CM who is not a TM. Typically, banks or custodians could become a PCM and clear and settle for TMs. The TM-CM and the PCM are required to bring in additional security deposit in respect of every TM whose trades they undertake to clear and settle. Besides this, trading members are required to have qualified users and sales persons, who have passed a certification programme approved by SEBI. equities in the Cash Market (CM) segment. The NEAT-F&O trading system is accessed by two types of users. The Trading Members (TM) have access to functions such as order entry, order matching, order and trade management. It provides tremendous flexibility to users in terms of kinds of orders that can be placed on the system. Various conditions like Immediate or Cancel, Limit/Market price, Stop loss, etc. can be built into an order. The Clearing Members (CM) use the trader workstation for the purpose of monitoring the trading member(s) for whom they clear the trades. Additionally, they can enter and set limits to positions, which a trading member can take. The trading volumes on NSE’s derivatives market has seen a steady increase since the launch of the first derivatives contract, i.e. index futures in June 2000. Table 1.1 gives the value of contracts traded on the NSE. The average daily turnover at NSE now exceeds Rs. 35,000 crore. A total of 216,883,573 contracts with a total turnover of Rs.7,356,271 crore were traded during 2006-2007.